Truth by Kbaig: Kulbhushan Yadev is a Terrorist! Kulbhushan Yadev is a Terrorist! 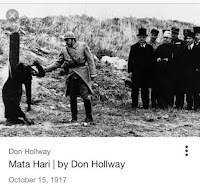 Mata Hari is a name not known to everyone in our country but in the , West especially in Britain and France, once this name has legendary importance. Not only novels have been written on her but dozens of movies have been made as well. In the decade of 1910, Mata Hari had uncountable fans including the majority of western lords and elite. Leaders of many countries longed to spend time with her. She was a famous dancer of France who was famous for her beauty. 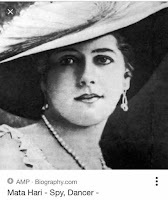 The actual name of Mata Hari belonging from Netherlands was “Margaretha Geertruida” famous among higher govt. officials and generals of the army. In January 1917, French army intercepted a secret message in which secret information about French army was being transmitted to German army in the German language from Paris to Berlin. The sender of the message was a female introducing herself as H-21 (code name). This was a big challenge for French intelligence agencies to find out the female spy among them. After long time and efforts when they came to knew that she was Mata Hari it was unbelievable for them. French army Generals were worried about the secrets that might have been spoken by them while being intoxicated with wine spending their evenings with Mata Hari. 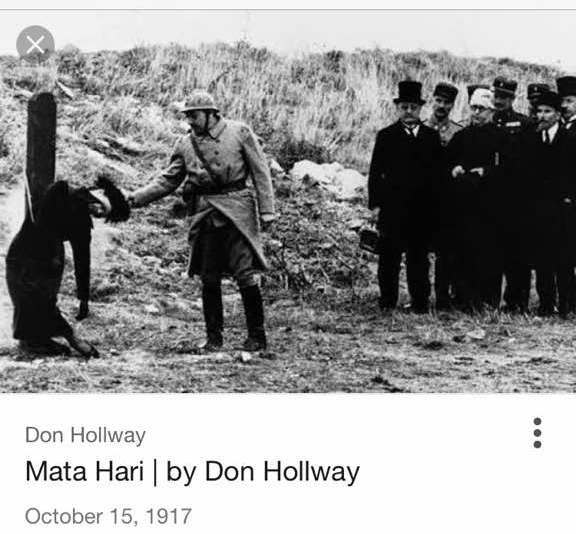 After various verifications when it was verified that the spy was actually Mata Hari. She was arrested on 13 February 1917 from a hotel in Paris when she was transmitting the message to German army via radio. After arrest, she confessed her crime that she was a spy of the German army. She was trialed by French army court and was sentenced to death for causing damage to France. On 15th September 1917 she was shot dead by firing squad. In 1942, KGB of Soviet Union succeeded in Julies and Ethel (husband-wife) of USA were hired as agents. They were linked with the secret nuclear program of USA. Their duties were to type the developments in the nuclear program. Secret information was transferred to Moscow. Even the design of US Nuclear program was transferred as well. When Moscow started the nuclear program on the lines of US Nuclear Program, Julies and Ethel were pointed out. 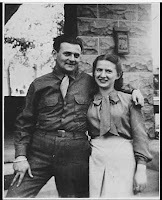 FBI arrested them in 1951, both were trialed and sentenced to death working for the enemy and spying for the enemy. They were electrocuted on the electric chair in 1953. 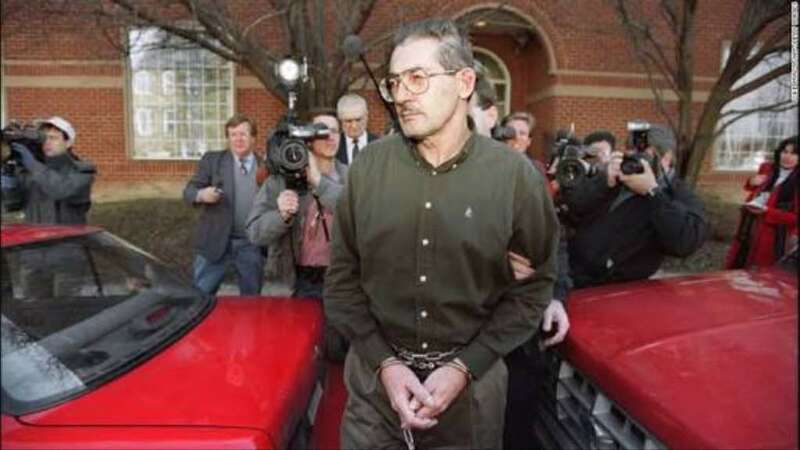 In 1985, American CIA sent her agent Aldrich Ames to Ankara, Turkey so that he can patronize Soviet Secret Agencies’ agents to work for CIA. KGB personnel were his special target. After being deployed in Ankara, Ames was given the responsibility of whole Europe as well. Due to his appointment, he got access to the secret information that who are working for CIA in the Soviet Union in which areas of Soviet Union. 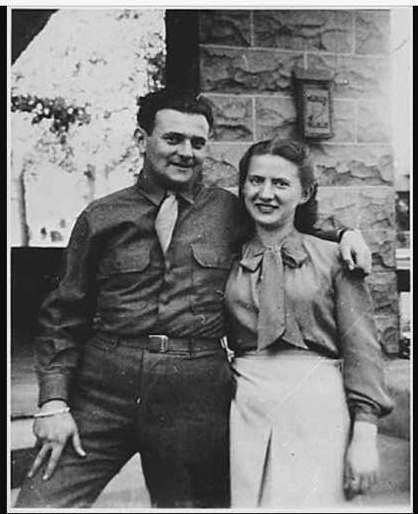 In spite of fulfilling his duties, Ames became an agent of KGB as he fell in love with a beautiful Russian woman and working for KGB. In order to prove his love for the lady, he provided her with the name and addresses of CIA agents in Russia. Soviet Union killed approximately 100 CIA agents which jolted CIA. The sudden increase in assets raised suspicions over Ames. He was called back to the USA and arrested. He was very hard and clever, he succeeded in cheating the lie detection machine twice. However, he does not have any documentary evidence to justify the sudden increase in his wealth. So he was trialed for treason and sentenced to life imprisonment. On 24 January 2017, arrest of 4 Russian officers linked with Cyber Security in Moscow jolted Western media. Journalists were struggling to get the reason for arrests. Everyone was aware that they were arrested under allegations of spying for USA. It was also reported that they have provided secret information about Hacking and Cyber crimes to USA. But no one knew the sensitivity and nature of the information. Sergei Mikhailov one of the arrested was the Higher officer of Federal Security Service who transferred secret information to CIA exploiting his designation. Russian govt. was of the view that the four arrested had no link with one another. They were under observation due to internal matters and investigations were going on against them. They were arrested and now facing treason charges. According to some analysts these arrests created problems for USA. USA blamed Russia for interfering in Elections resulting in the winning of elections by Donald Trump. Due to which tensions between Washington DC and Moscow has increased. Last year on 6 August 2016, Iran executed one of its nuclear scientists alleged for transferring secret information regarding nuclear developments and military secrets. 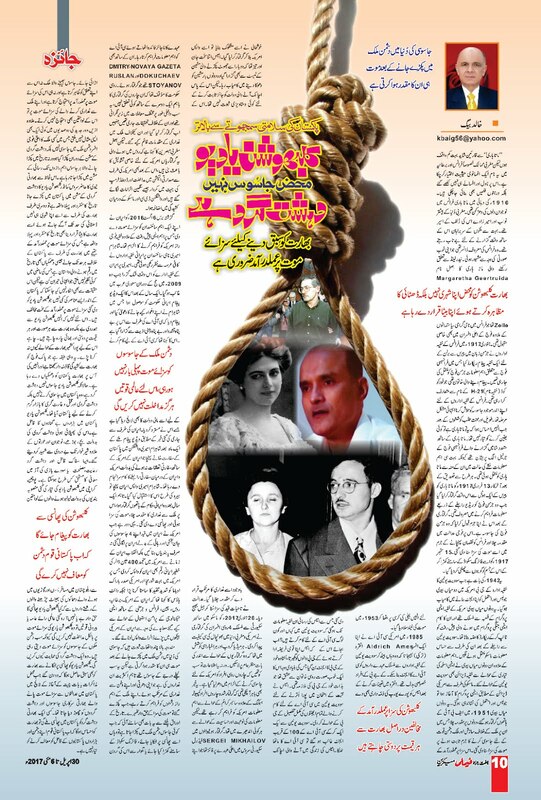 Shahram Ameeri, Nuclear Scientist of Iran was under observation for a long time ago. Iranian secret agencies developed suspicions over Ameeri when in 2009 during Hajj he suddenly disappeared. After one year his video message was received by Iranian govt. in which he claimed that he has been kidnapped CIA and tortured mentally as well as physically. 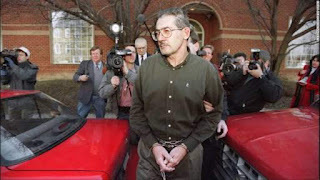 According to him, CIA offered him money as well which he declined. According to Iranian news reports after one month of the video message he arrived at Pakistan embassy in USA working as mediator between USA and Iran due to suspension of diplomatic relations between both countries. 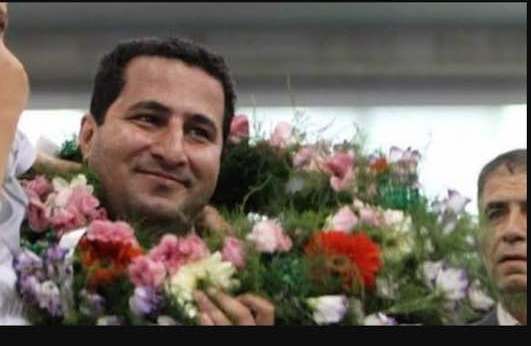 Shahram Ameeri was welcomed as a hero on his return to Iran. 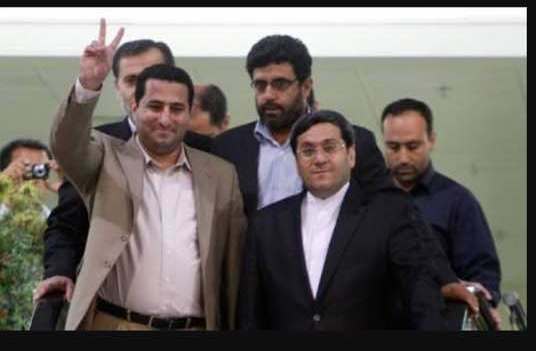 However, after one year he was arrested by Iranian agencies, trialed for treason and executed. This was the time when USA removed sanctions over Iran in exchange of release of 4 american spies. USA not only removed sanctions but also released frozen funds of 400 million dollars belonging to Iran. Much protest was observed in the USA and Obama was criticized for it. White House was of the view that after signing of deal with USA, Britain, Russia, China, France and Germany by Iran, her funds have been released. Above quoted few incidents from the world of spying prove that death is the end of the spies who are arrested. They all were lower level spies and majority was traitors who turned against their own motherland. 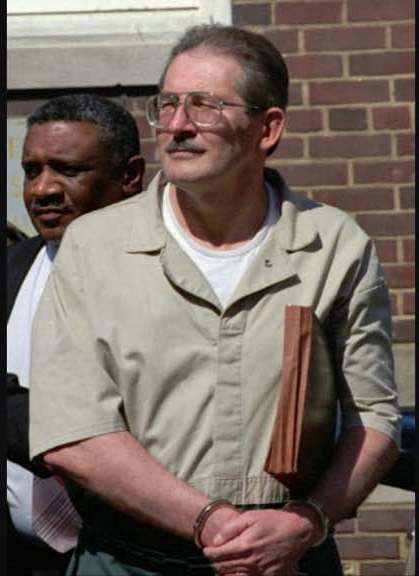 They shared the secrets of their country with enemy and were executed on arrest. If we look at the history, it is obvious that arrested spies are punished with death sentence whether by hanging, killing by firing squads or cutting of head by sword. The country sending spies neither accepts her links with the spy nor protests over the punishment. 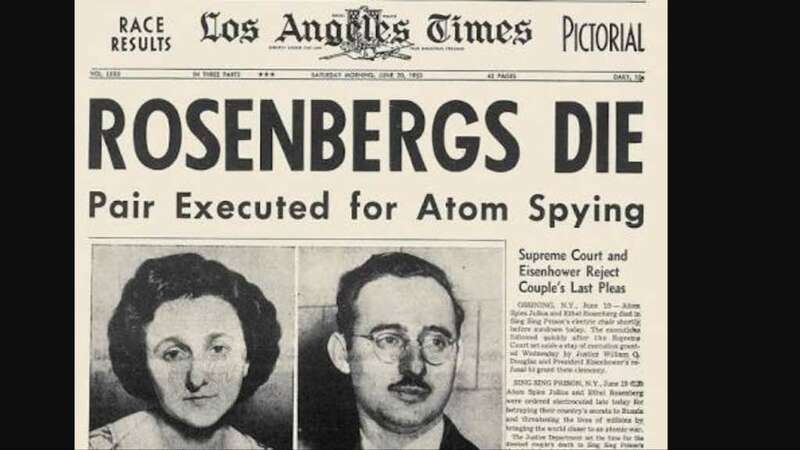 Even the heirs of the spy alleged for treason do not protest over his death. Moreover, in the recent era, not a single example can be traced that a high ranked army officer have been arrested in the enemy country for terrorism. All the spies arrested in the history were arrested for accessing secret information. In this regard, Indian Naval Officer Kulbhushan Yadav's arrest while he was in Pakistan on a terrorist mission is a strange event of the history. On the other hand not only India has accepted Kulbhushan as his citizen but declared as SON OF India. 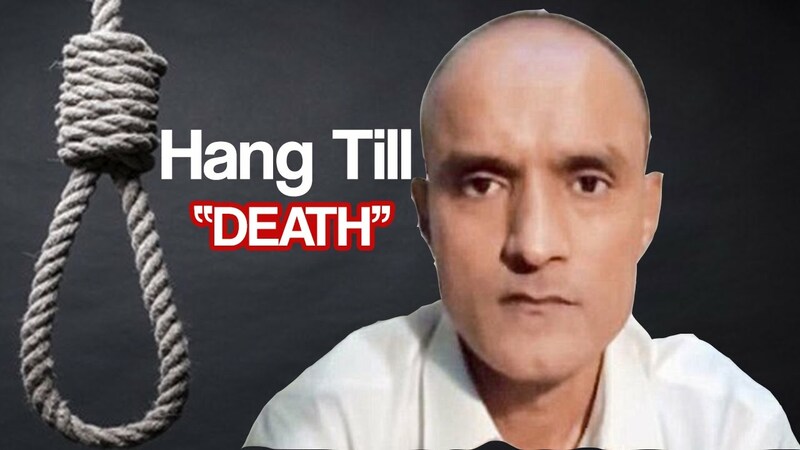 On his execution, India has threatened Pakistan for dire consequences. This is a strange happening in the history that a country is protecting her terrorist. There is no doubt that there is abundance of such elements in Pakistan who are against the execution of Kulbhushan. Not because they have sympathy for Kulbhushan but due to their interests and business ties with India, no matter if they have to hand over the whole Pakistan to India. These are those people who blame Pakistan army for tension with India. Due to their support, India is threatening Pakistan. 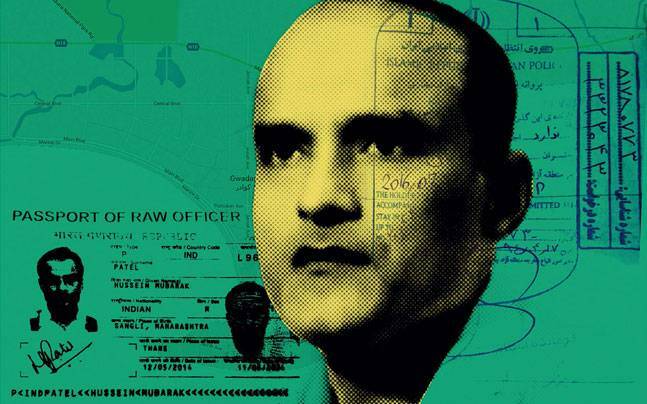 Kulbhushan Yadav is not a spy but terrorist who was sent to Pakistan to wage terrorism war in Pakistan. Kulbhushan Yadav is the murderer of thousands of innocent Pakistanis killed in terrorist attacks. His planned terrorists killed children, elderly, men and women. Such cold blooded terrorists do not deserve to be pardoned under any package or deal. Ask from the heirs of those killed in the terrorist attacks, the train derails, firing over buses and bomb blasts; are they in favor of hanging of Yadav or not. Date: 30th April to 06 May 2017.